BARGARI, PUNJAB (SNN) – A conclave of Panthic organizations that gathered in Bargari, the epicenter of desecration of Sri Guru Granth Sahib Ji’s saroops in November, 2015, delivered a final ultimatum to the Punjab Government – either arrest and prosecute Parkash Badal, Sukhbir Badal and other guilty of the 2015 desecration and murder of two innocent Sikh protestors by October 4th, 2018 or face the wrath of the collective Khalsa Panth. 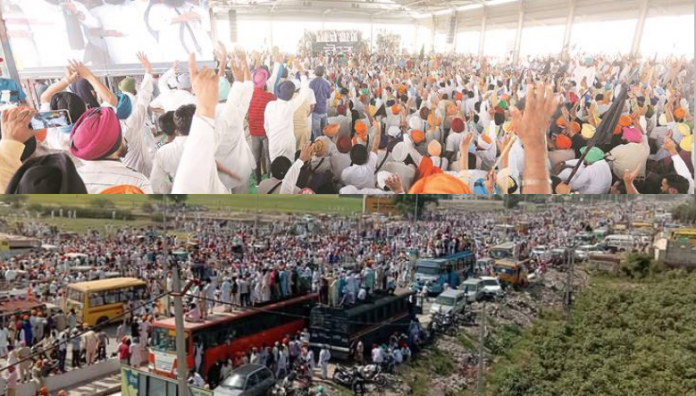 Earlier, Sikh organizations had gathered at the nearby town of Kotakpura where nearby in 2015 at Behbal Kalan two innocent Sikhs were killed, and dozens of protestors injured when police fired upon them without any warning. The Justice Ranjit Singh Commission Report that was submitted to the Punjab Government holds both of the father and son Badal duo, and several key police officers responsible for the 2015 murder of the two Sikhs, Krishan Bhagwan and Gurjit Singh, and states they both were shot ‘point-blank’ at close range. 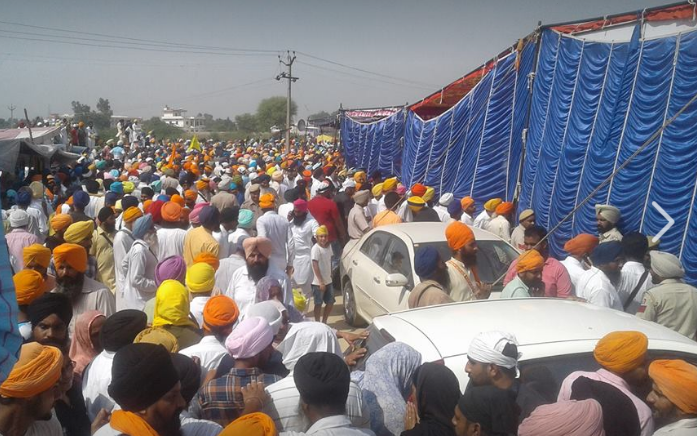 Throngs of Sikhs, from Doaba, Majha, and Malwa, along with thousands of members of the Muslim and Hindu community, Aam Aadami Party rebels, Lok Insaaf Party, and Sikh activists agitating from Bargari such as Baljit Singh Dadu, and Dhian Singh Mand joined forces with various Panthic organizations and marched from Kotakpura to Bargari in a mass show of force that overflowed and jammed traffic for miles around and dwarfed the parallel rallies that were intentionally organized by the Congress Party, and Badal Akali Dal in Lambi and Patiala on the same day. 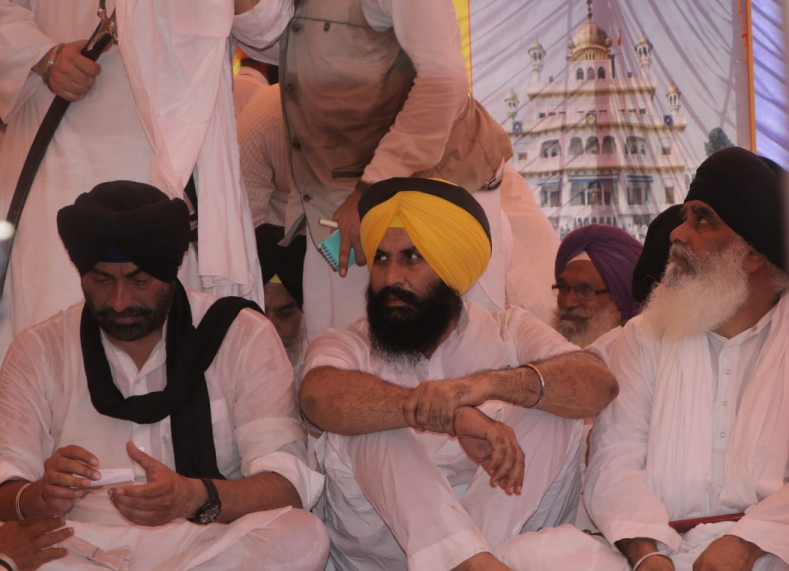 It was a clear signal and warning to the ruling Congress Party of Amarinder Singh that inaction on their part in arresting the guilty will have serious consequences and Sikh organizations will not tolerate any further delay in punishing those found guilty of beadbi of Sri Guru Granth Sahib ji’s Holy Saroops.